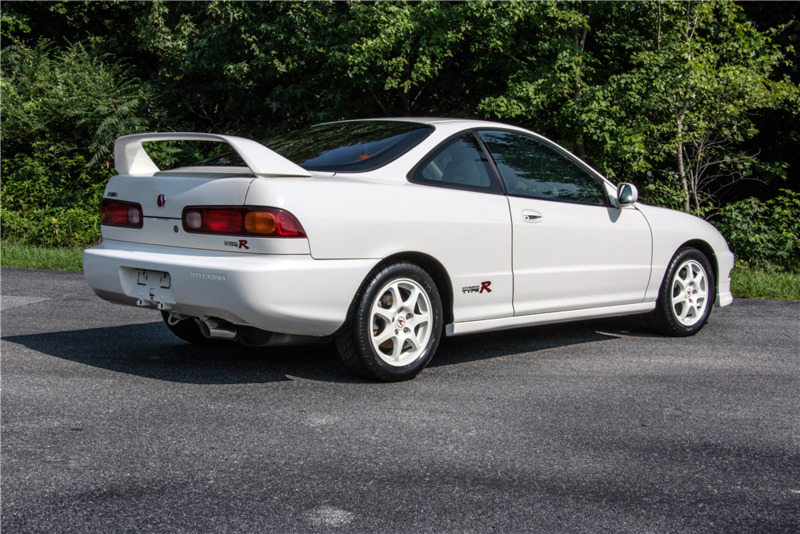 The market for minty-fresh Acura Integra Type R examples has been bullish to say the least as the two-door, front-drive handling specials command top dollar in a world saturated with muscle cars and European exotics. In January, The Drive reported on what was thought to be the highest-fetching Type R yet at $35,000, but during Barrett Jackson's Las Vegas auction on Friday, an even cleaner 'Teggy went for an outrageous $63,800 hammer price. This particular 1997 model year car was a one-owner machine with less than 2,000 actual miles on the odometer. Painted in white with a flawlessly clean cloth interior, it's as close to factory condition as you're likely to find. That can be seen as an added plus to the Type R's historical significance and well-regarded status within the car community which has earned it utmost praise, even from the stiffest rear-wheel-drive faithfuls. The Type R's four-banger produced well over 100 naturally aspirated horsepower per liter. 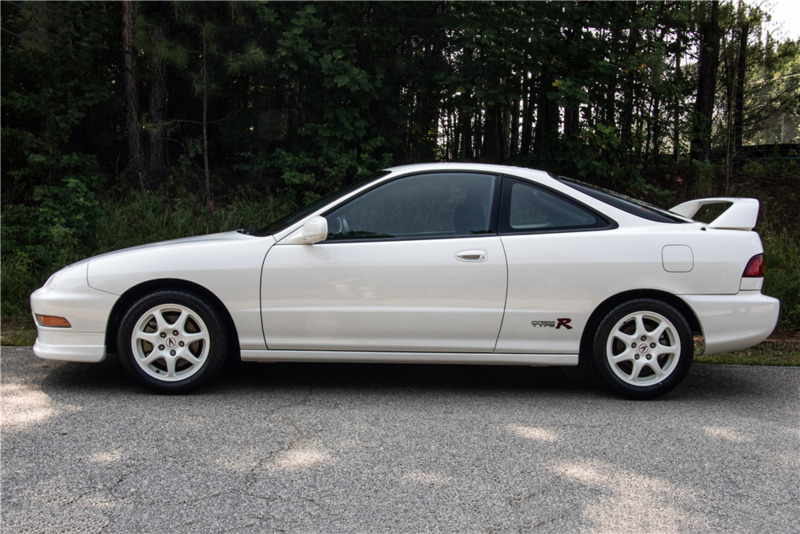 The Integra's VTEC-equipped 1.8-liter engine, commonly known in the Honda/Acura community as a B18, produced 200 horsepower from the factory, a massive number at the time for such a small displacement powerplant. It's matched with a five-speed, close-ratio manual gearbox which directs power to the front wheels via a limited slip differential. 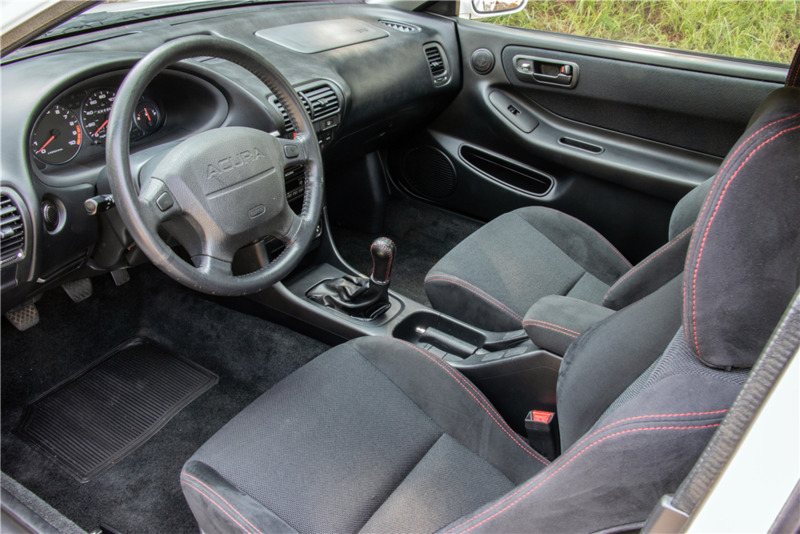 Lengthy documentation on the car was included in the sale, all packaged together nicely in a leather-bound Acura booklet along with the original owners' manuals. The exceptional state of what has become an undeniable classic apparently ticked all of the boxes for the lucky collector as it is now on it's way to just its second home in 21 years. This will provoke a response from the everyday car crowd, so to get the conversation started, drop a line below and cast your vote: worth the cash or where's this guy's stash? The car is believed to make up half of the right-hand drive Quattro prototypes built in 1982.